Notification with the passing of NWA/DL pilot F/O Todd Douglas Perry, age 48. Todd joined Northwest Airlines 04-30-2001 and was a First Officer based MSP with Delta Air Lines up until the time of his illness. Todd D. Perry, age 48, of Oak Grove passed away peacefully March 9, 2015 after a short and courageous battle with ALS. He was a devoted husband, father, son and brother. He was born Aug. 29, 1966. He graduated from Irondale High School in 1984 and then graduated with a BS in Business Aviation at the University of N.D., where he met his wife, Karyn. They were married July 27, 1996. They have two beautiful children, Ashton and Lauryn. 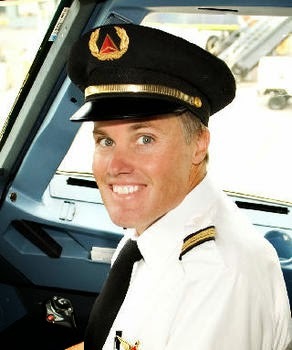 Todd went on to his dream career as a pilot for Northwest Airlines and most currently was a First Officer on the Airbus at Delta Airlines – he loved his job. Todd’s philosophy was T.C.B. – take care of business and to always “smile.” That was evident in how he lived his full life. He loved being with his family, raising and playing with his children and wife. He was an avid jogger, woodworker and handyman. Todd is survived by his wife, Karyn; children, Ashton and Lauryn; mother, Joni; father, Doug (Diane); siblings, Steve (Laurie), Sandy (Dan) Jones and Troy (Beth); in-laws, Mary and Jerry Schultz; sister-in-law, Kristi (Daniel) Gylten; nieces, nephews, friends and other relatives. A special thanks to HCMC ALS Clinic, Comfort Keepers, Olson Elementary, SFEN, SFMS and Delta Airlines. A visitation will be held Thursday, March 12, 2015 from 5-8 p.m. at Thurston-DeShaw Funeral Home, 13817 Jay St. NW, Andover. Memorial service will be held Friday, March 13, 2015 at 10:30 a.m. at Family of Christ Lutheran Church, 16345 Polk St. NE, Andover. In lieu of flowers, memorials preferred to the ALS Association – MN/ND/SD Chapter.